It seems to me that India has been the source of inspiration these days for fashion as well as home decor. Have you seen the new West Elm catalog or surfed Anthropologie lately? It's all beautifully done and one technique I've noticed that I've always wanted to try myself is block printing, where artists hand carve pieces of wood to create a design. Ink is then applied to the block and "stamped" on to the fabric. I would never attempt to carve the block but thought about purchasing several wooden blocks and given it a whirl. This is a beautiful video from West Elm about how the India Block Printing process works. It's truly incredible! 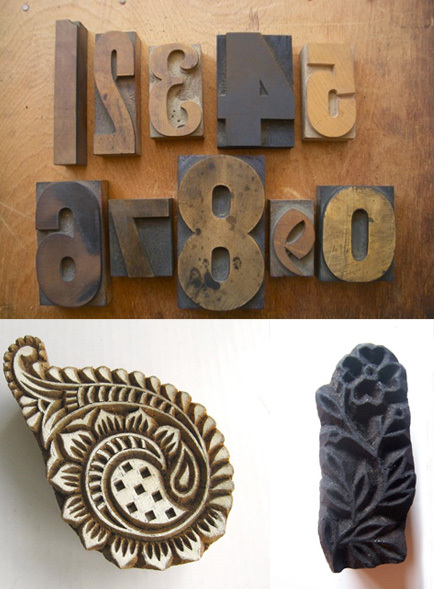 You can find vintage woodblocks at local flea markets, antique shops and of course, Etsy. If you search something along the lines of "textile printing block" or "woodblock" under the "Supplies" category on Etsy you will find tons of cool ones. 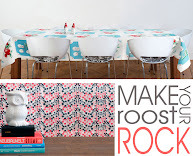 Here is a great tutorial on how you can make your own fabric, towels, pillows, etc. from Red Door Home.